Last Thursday is where you can find Parcel 1 - the earlier years. 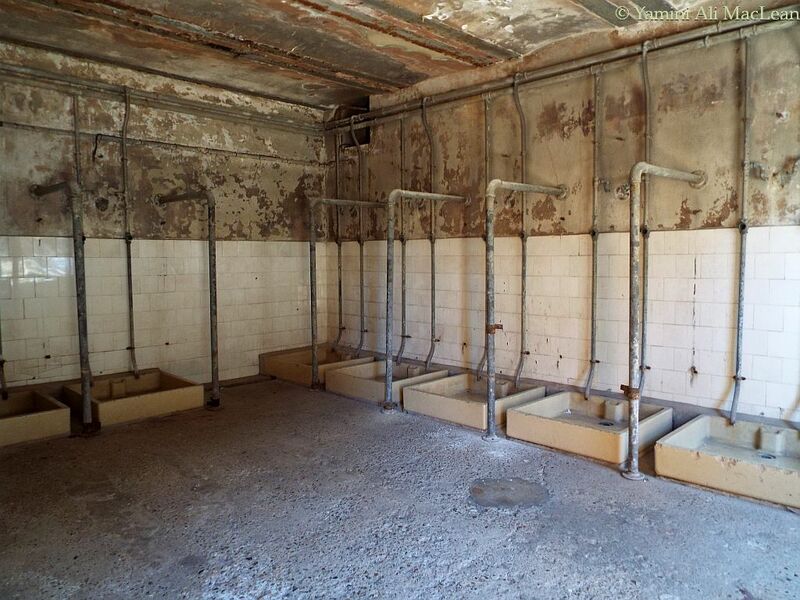 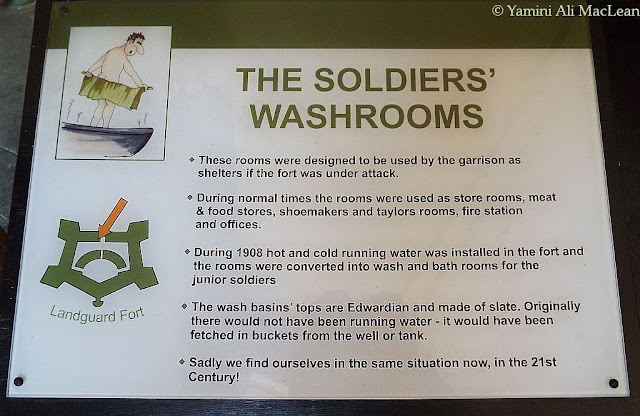 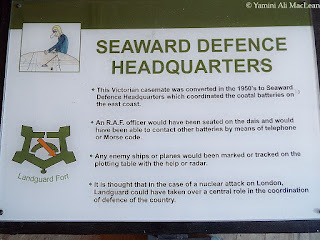 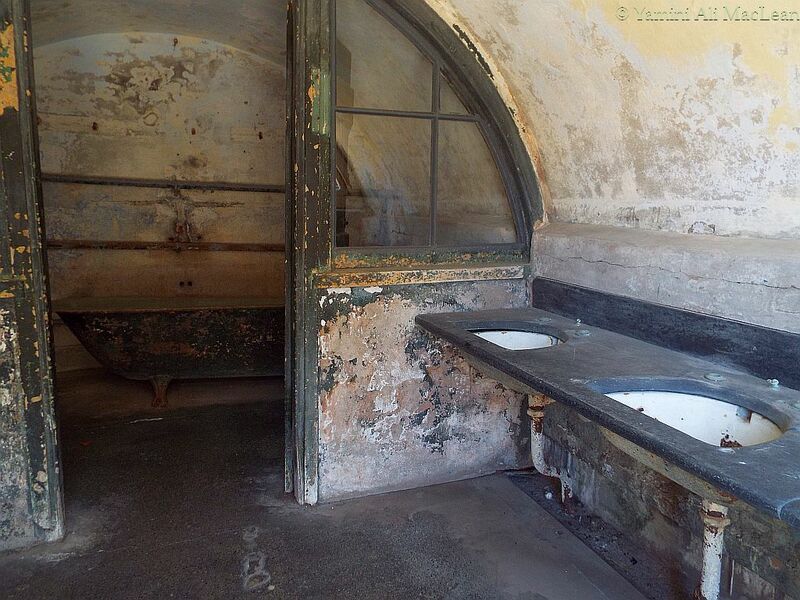 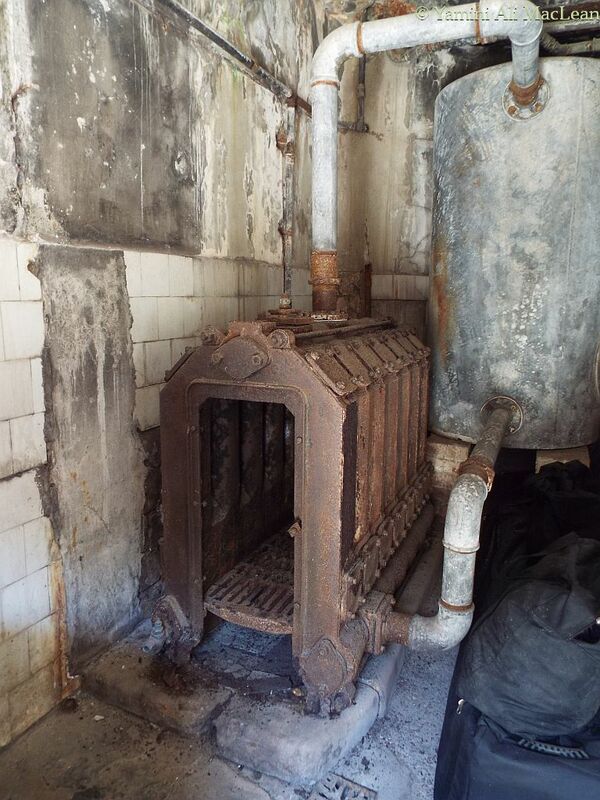 Landguard continued service in the 20th century and at least some small comfort (used as a relative term) was provided when the 'ablutions' rooms were created. 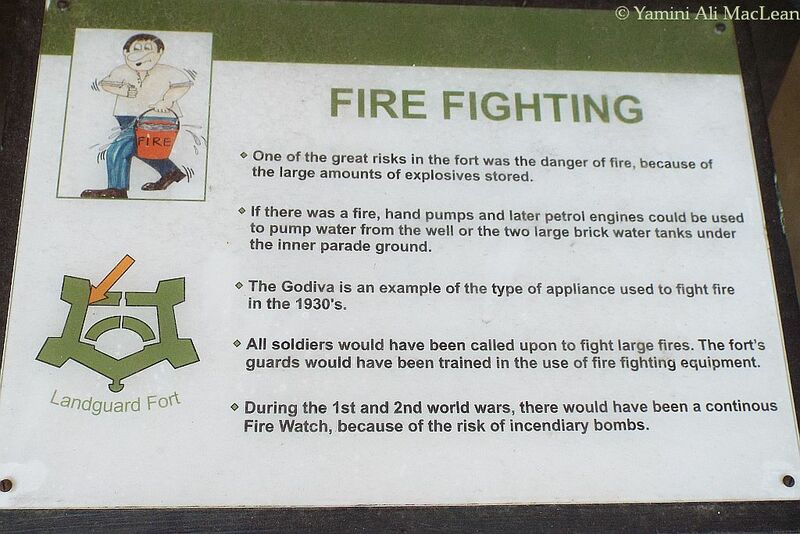 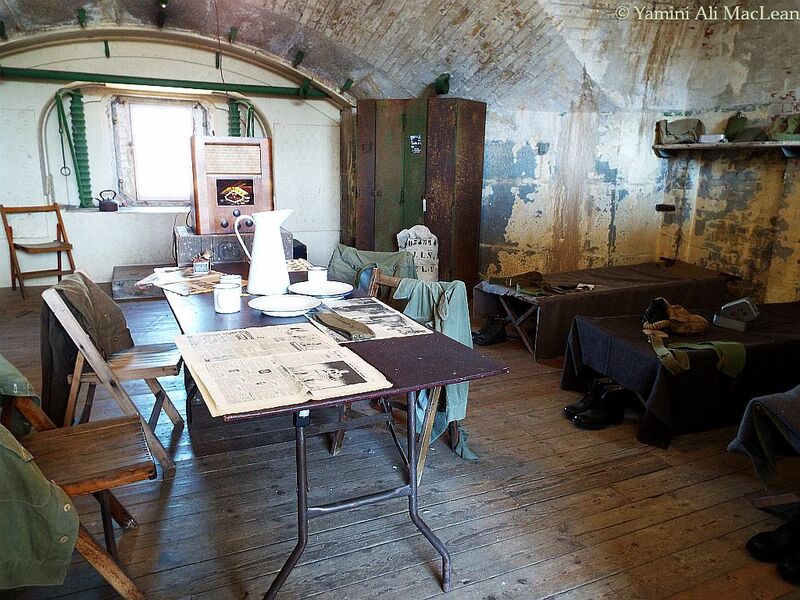 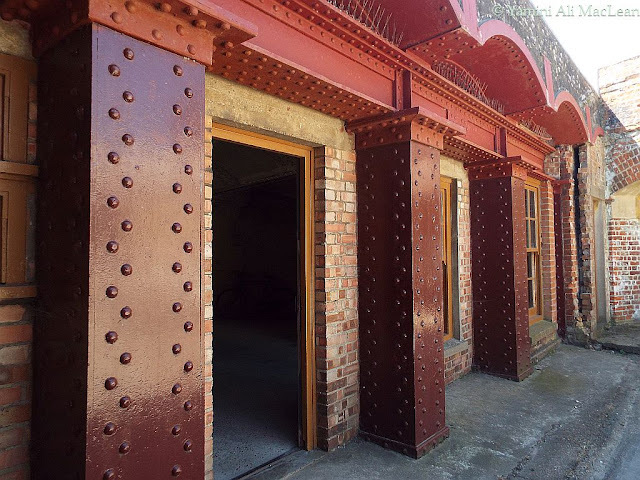 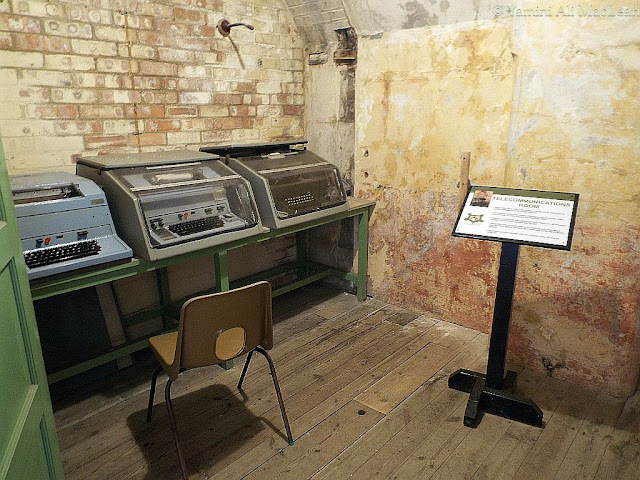 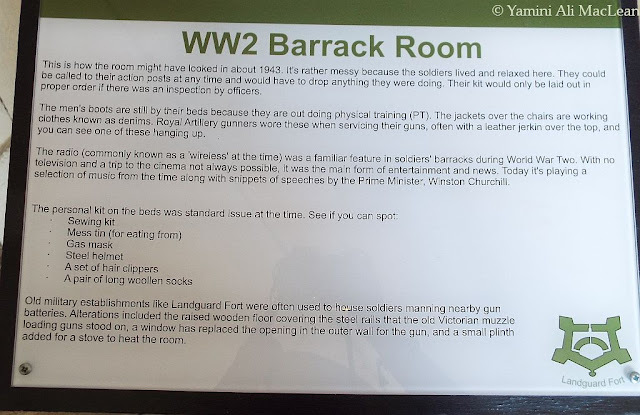 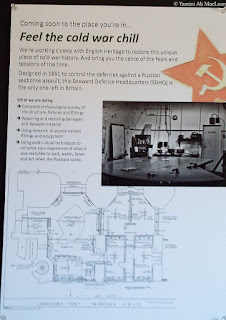 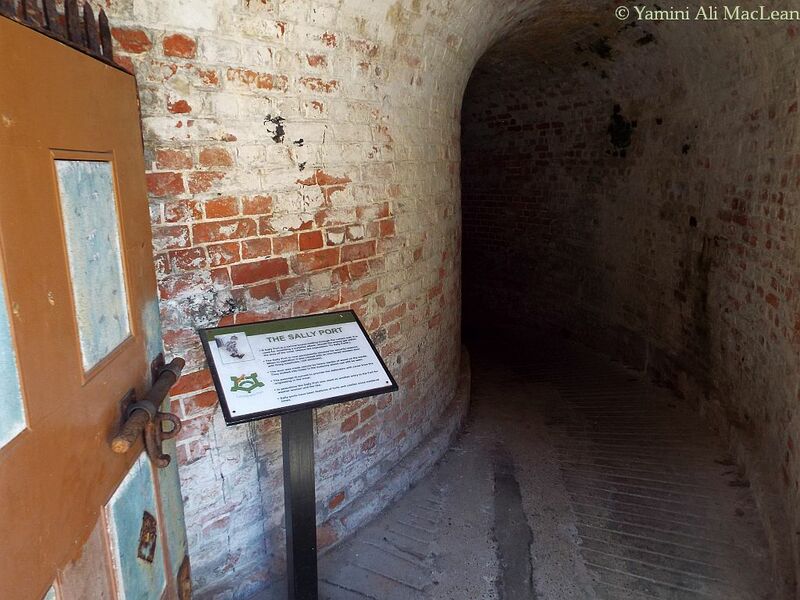 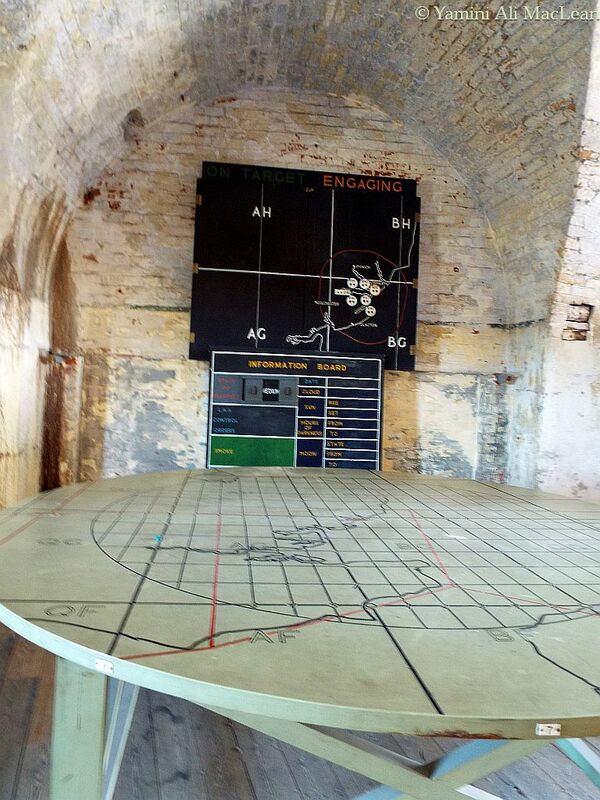 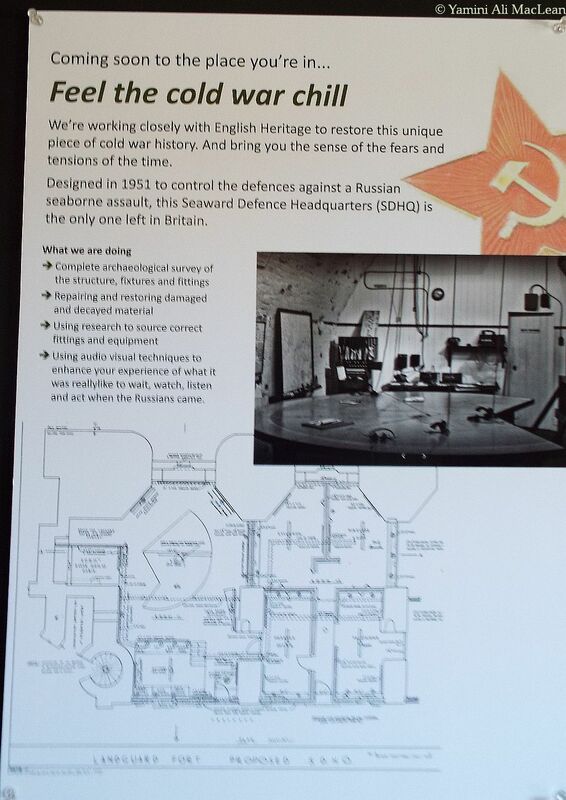 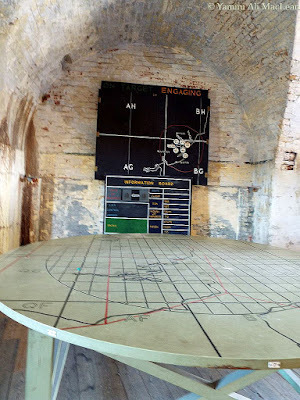 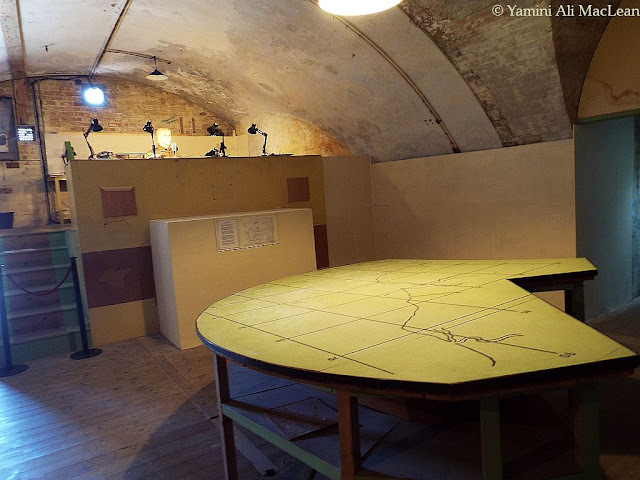 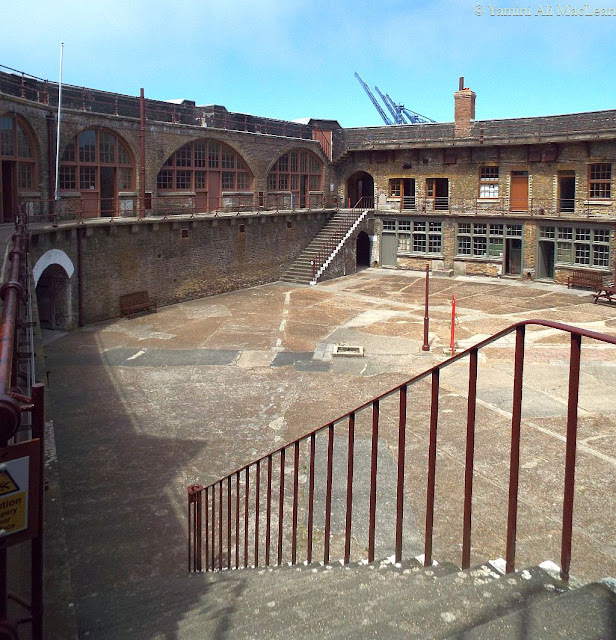 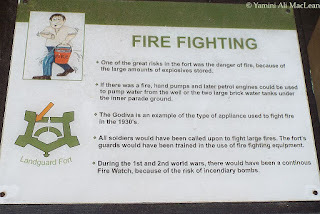 There were adaptations to the building to bring it up to 'modern' fortification standards and included barracks rooms, charting rooms, radio rooms... you may want to click on the images to get better viewing. In truth, I found that 'shower room' somewhat chilling and thus held back a couple of shots from the 18th/19th century part to soften things a bit - and tomorrow's me-now-views post will hold the final images from this day at Felixstowe, not of the fort but the surrounds. 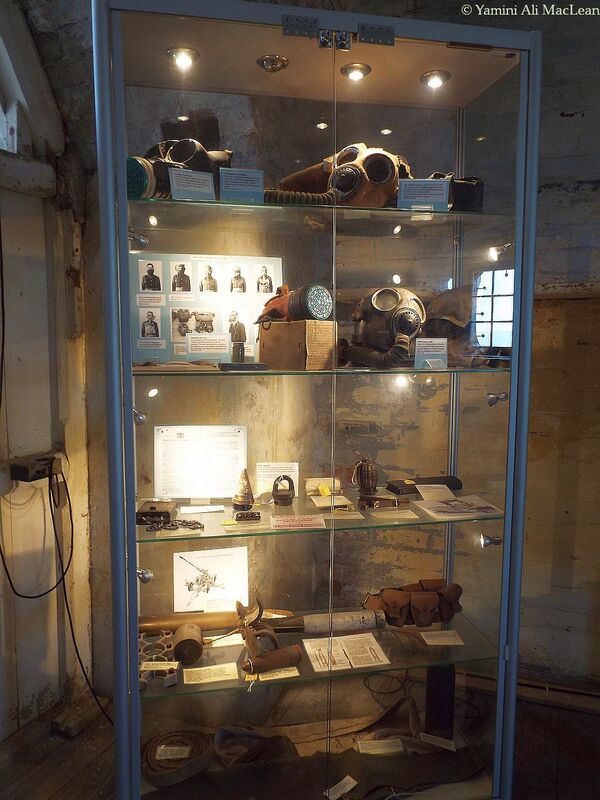 That first photo of the hollow metal work and rivets is very pretty. I was a purchasing agent for a hollow metal company back in the early 80's. 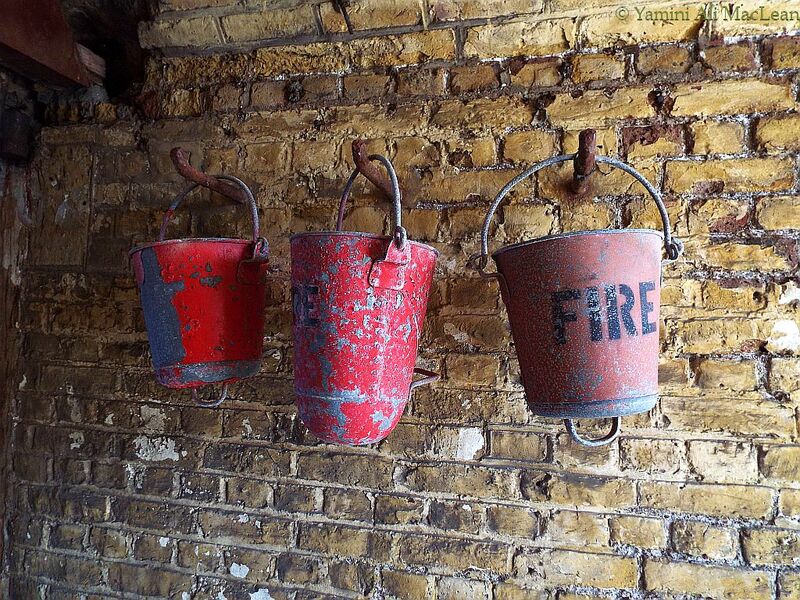 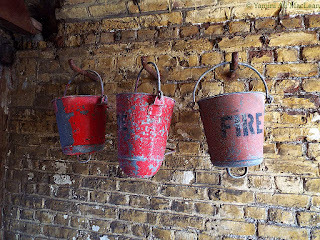 I was always fascinated with what could be done with it. What workmanship and the architecture very nice. 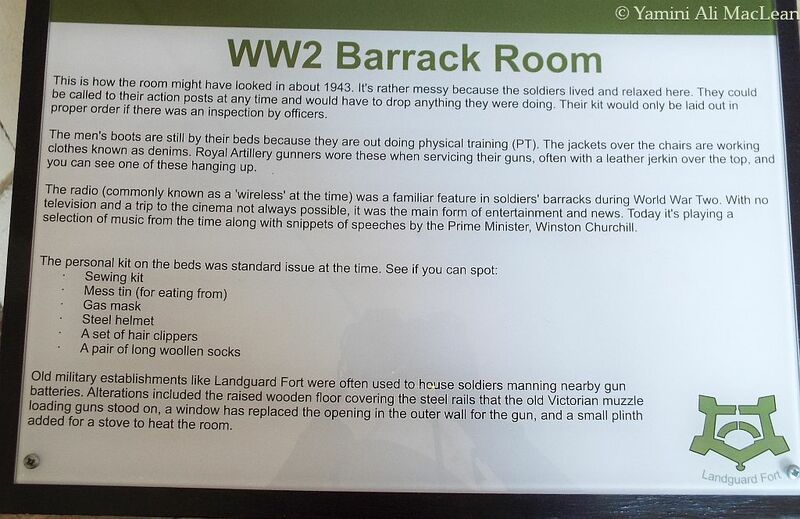 The text about the WW2 barrack room made me feel old when I noticed that they felt the term 'wireless' needed further explanation! 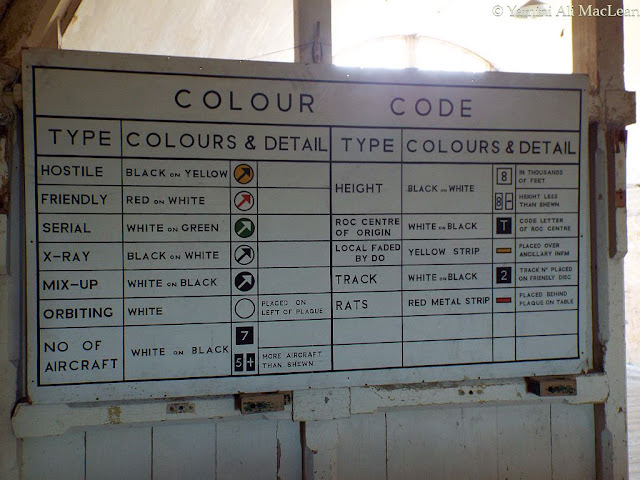 How we were! 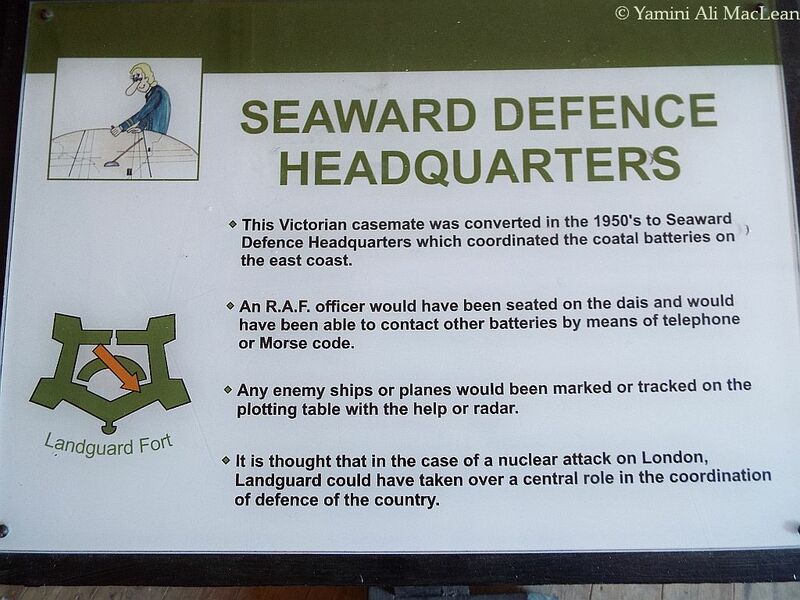 Good to document, lest we forget. 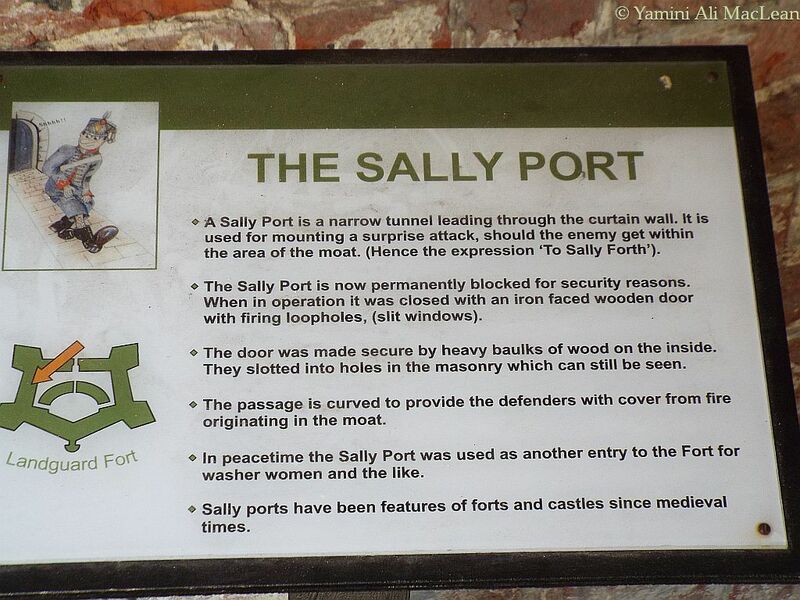 Hello, The Sally Port is interesting. Neat tour of the fort. We have the Fort McHenry here in Baltimore, their barracks are a tiny step up. 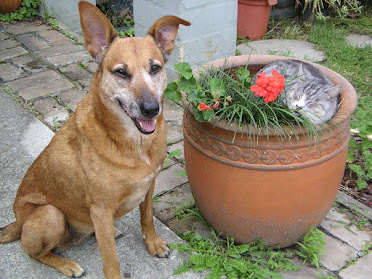 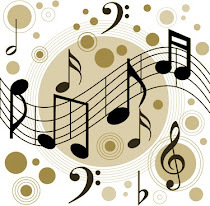 Have a happy day! I can almost hear the echos of the soldiers....Wonderful captures!! Eeeeewwww. We have these, too.